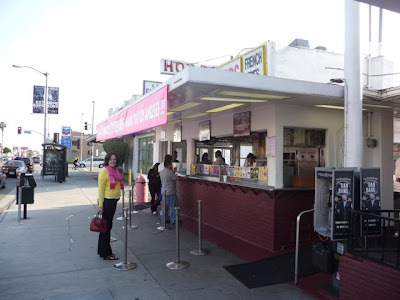 For years I'd heard about Pink's Hot Dog Stand, located near the corner of Melrose Avenue & La Blvd Blvd in Hollywood. One of those places I'd heard about, even driven by, but never visited. Ah, that was until last April when my wife and I were back in Los Angeles to hear Oxford University Professor John Lennox speak at Christian academic event at UCLA (here's a link to a previous post on the event - really amazing). 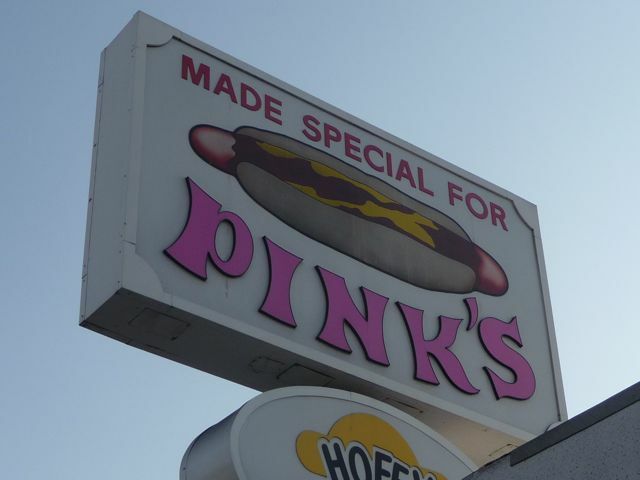 We had a break in our schedule and decided it was time to finally experience Pink's. 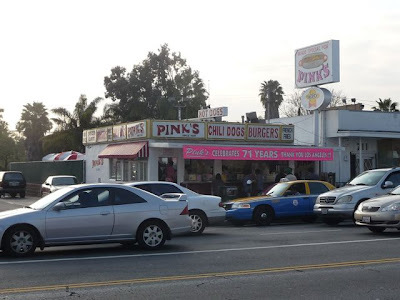 Pink's is a 70 year old hot dog stand famous for the number of celebrities who've stopped by over the years, it's late-night hours (open until 2am, 3am on weekends), and for it's huge menu of celebrity inspired hot dogs. For example, the "Dude" dog is a creation of Gustavo Dudamel of the LA Philharmonic. 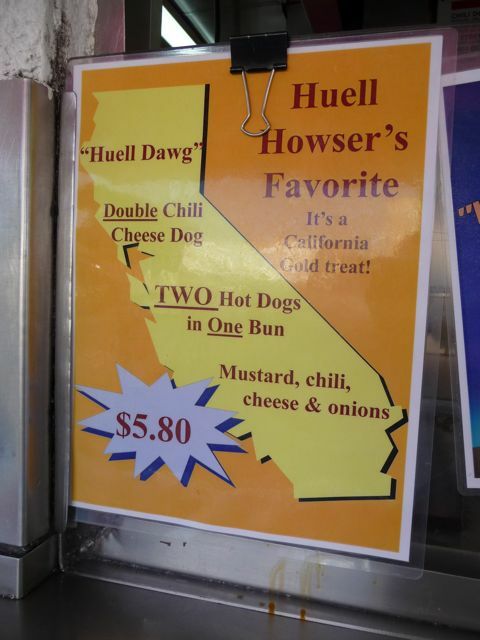 The "Huell Dawg" is a favorite of Huell Howser, the colorful host of the PBS program "California Gold." 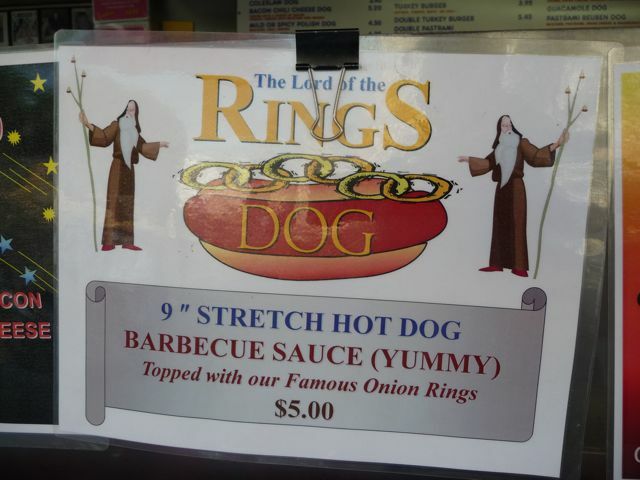 Here's a link to their menu and other celebrity inspired hot dog creations. 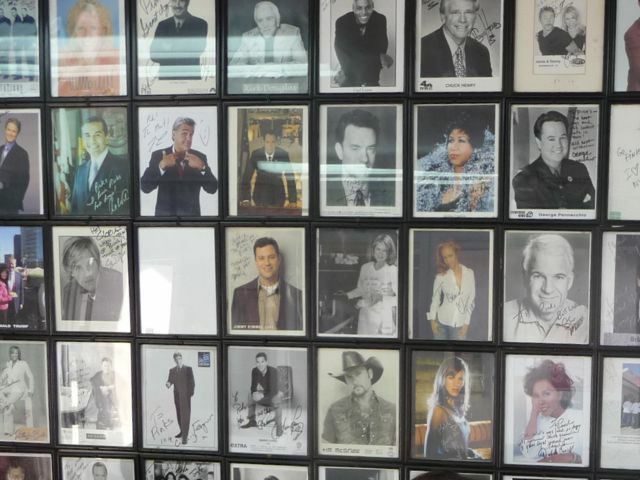 Speaking of celebrities, the walls inside are covered - absolutely covered - with dozens and dozens of signed photos. 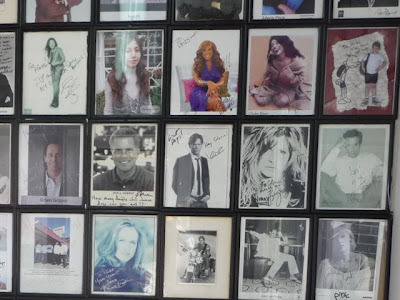 If you're looking for a little Hollywood vibe, the photos alone is worth a trip there. 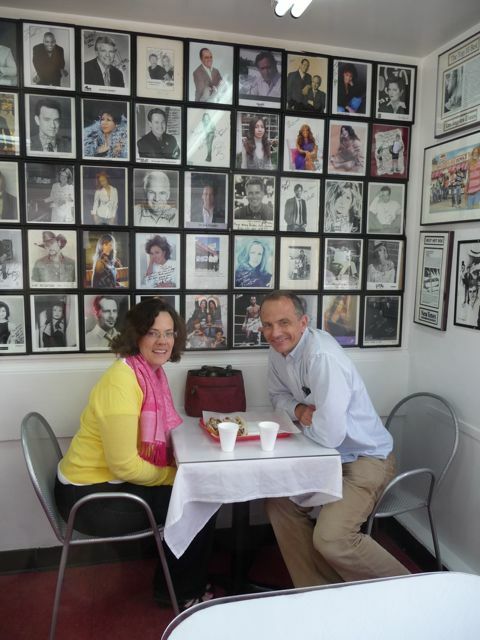 We never had cable or network TV while living in L.A. (ironic, non?) - and generally only see a couple of movies a year, so I have no idea who most of these peole are. 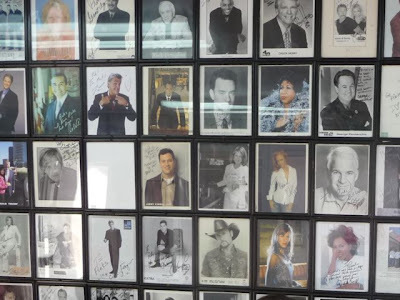 Guess they're famous, right? My wife and I enjoying our Pink's Dogs. Not super healthy, but yummy. Here's a view from across La Brea looking west. The fact that it looks like such a dive is part of the appeal. If you've in the area, definitely worth a trip. 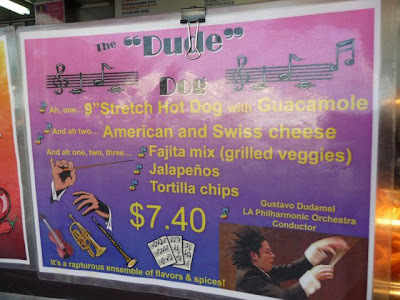 Definitely part of "experiencing Los Angeles." And here's a link to their website.